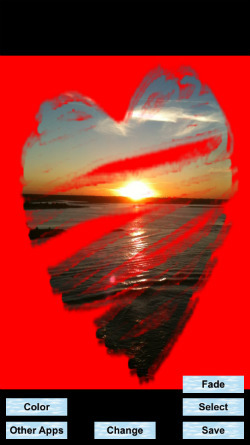 Add various heart stickers and heart effects to any of your pictures. 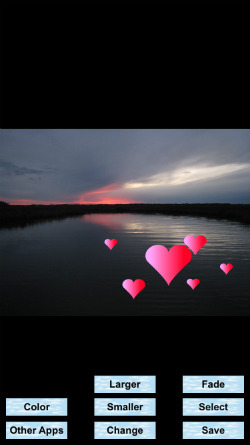 You can make hearts the entire background of your pictures, make them larger or smaller, and position them anywhere on the picture simply by tapping it. You can also change the colors or add fade effects on each of them. See screenshot below.